A careful blend of acids and wetting agents in solution used to remove laitence and salts from concrete/mortared floors. 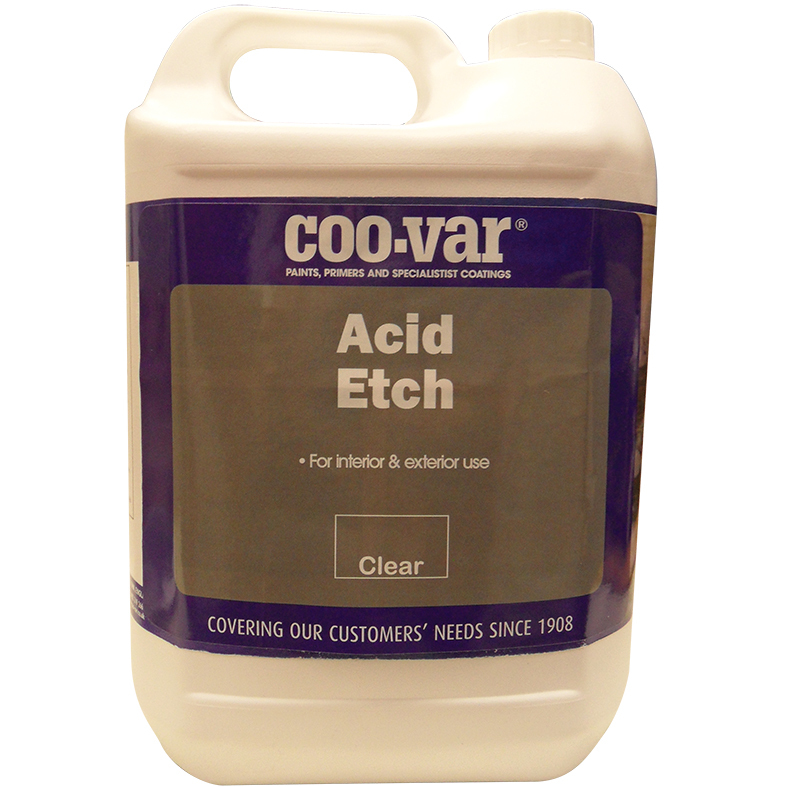 Acid Etch removes residual laitence from all new concrete - use prior to painting. Removes laitence and salts from concrete and render. Should be used to prepare exceptionally smooth surfaces and power floated concrete floors where blasting and mechanical abrasion is not practical. Suitable For: Concrete and render. Must be used on exceptionally smooth surfaces such as power floated concrete floors.